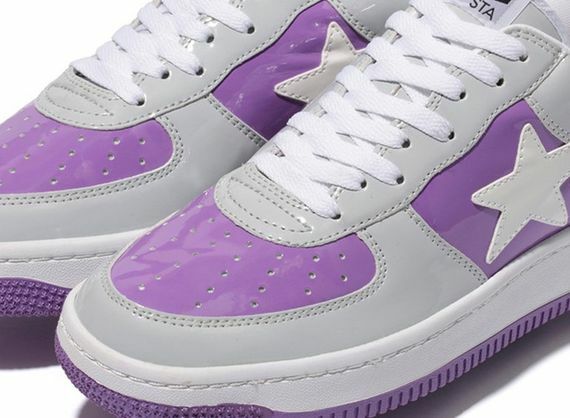 This anniversary model pays direct homage to A Bathing Ape’s New York flagship store that, this year, is celebrating its 1oth year of operation. The classic patent leather gets a two-tone update with these special edition kicks, delivered via a unique purple and grey look, offset by white accents. 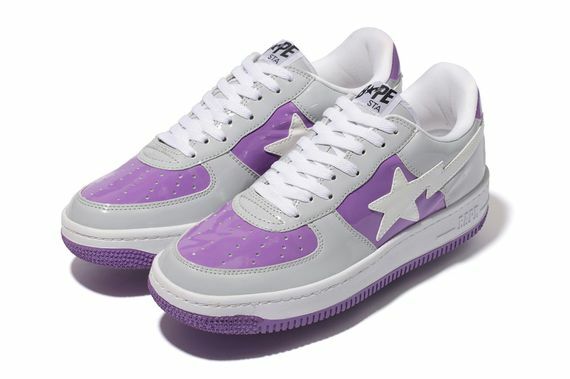 These feature the classic BAPE logo on the tongue-tag and are perched atop a white midsole and matching purple outsole. These are available now via Bape’s online store. More photos after the jump.